AANGIKA is located in Bhubaneswar Orissa . AANGIKA is registered as a Society at Bhubaneswar of state Orissa with Ngo unique registration ID 'OR/2012/0054829' . 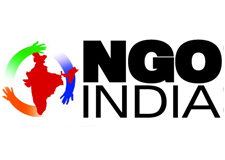 The NGO registration is done by Registrar of Societies with registration number 1924-187 of 1988-1989 on the date of 01-09-1988, Its parent ORganaisation is PaulFoundation. The Chairman of AANGIKA is Subhasish Mohapatra and Chief functionary officer is Sadashiva Pradhan. �Aangika�was formed with basic ideology tp promote & propagate the wide range of folk dance & music of Orissa, keeping a focus on the �Mayurbhanj Chhow�. Orissa has an extremely rich heritage in folk dances and theatrical forms. Since its inception this organization has strived hard to promote �Chhow�, �Gotipua�, �Pala�, �Daskathia�, �Odishi Kirttan�, �Prahlad Nataka�, etc. through lecture demonstration, seminars and performance held in various district & State level functions. However, �Aangika� has also kept training pupils in the �Mayurbhanj Chhow� style with Sadashiv Pradhan as the chief �Guru� who is a renowned exponent of this style and has established himself in the national circuit as an eminent �Chhow� Scholar. Since this organisation is already more than 20 years in existence, it difficult to describe all the activities undertaken within this short space. Here we are briefly describing our activities undertaken within the last three years i:e: 2009-2012. In the year 2009 we had invited an eminent �Odishi Kirtan� Guru Srijukta Narendra Patsani, on the occasion of Teachers Day to talk about the origin, growth and development of �Odishi Kirtana� in Orissa and how Baishnavites were related to this form. He also talked about the classification of this instruments known as Mrudanga (locally called Khola). After his lecturer he had played the instrument and described its Ekaka Bani and Dweta Bani i:e: single handed sound and double handed sound respectively. Our major activity remained training10-15 students in the style of �Mayurbhanj Chhow�. In the year 2010, we thought some different activites like �Pala�-the popular Katha Gayan style of Orissa and the original form of present �Odishi� dance called Gotipua�,along with its regular classes as well as performance. So we had invited Guru Gopi Krushna Behera of Banki,Cuttack an eminent master of Gotipua and Sriman Athithi Sahu of Puri district, a Pala Gayak to conduct workshop on his topic. Guru Gopikrushana Behera gave an extensive lecture on the techniques of Gotipua dance and demonstrated them wonderfully. He talked about its origin and how to train children and its process to disciple. Our �Chhow� classes continued as usual throughout the year. In the year 2011, apart from our regular classes and public performances we had invited an eminent Mardala player of Utkal Sangita Mahavidyalaya ,Bhubaneswar named Guru Dhaneswar Swain. Guru Srijukta Swain described about unusual �bol�s and �tala�s of odishan rhythm system. Apart from Ekatali and Adatali , he also demonstratd different kinds of �bol�s and �tala�s which are similar to �Chhow� dance tala system. And he also trained our students on how to compose a �tala� for any musical composition. This year our students in �Chhow� experimented in adopting basic movements of �Chhow� into a presentation of �Prahallad Nataka� under the eminent Guru Sri Krusna Chandra Sahoo. �Chhow� classes continued.